Ever had one of those times where you were just craving something naughty? Even moreso, some DEEP FRIED naughtiness? Yeah.. 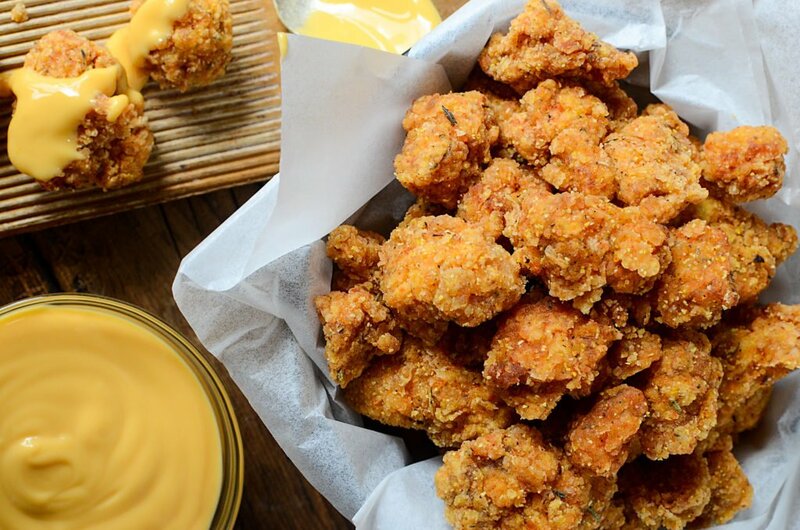 I was having one of THOSE moments, and it wasn’t even “game day” (but this recipe would be epic for a game day appy!!). So I’ll warn you now lovely reader, if you’re looking for a fitness loving, heart healthy recipe, sorry, today’s not the day. Instead, I have a sinfully yummy, double coated, hot oil fried recipe that will ensure the top button on the ol’ jeans gets undone. (It’s up to you if that’s a good thing or not). Feast your senses on this lovely recipe, The Popcorn Pork Bite. 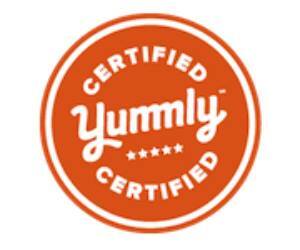 Yes.. it’s just as yummy and amazing as it sounds. Hey.. once in a while we all gotta live outside the lines, right? 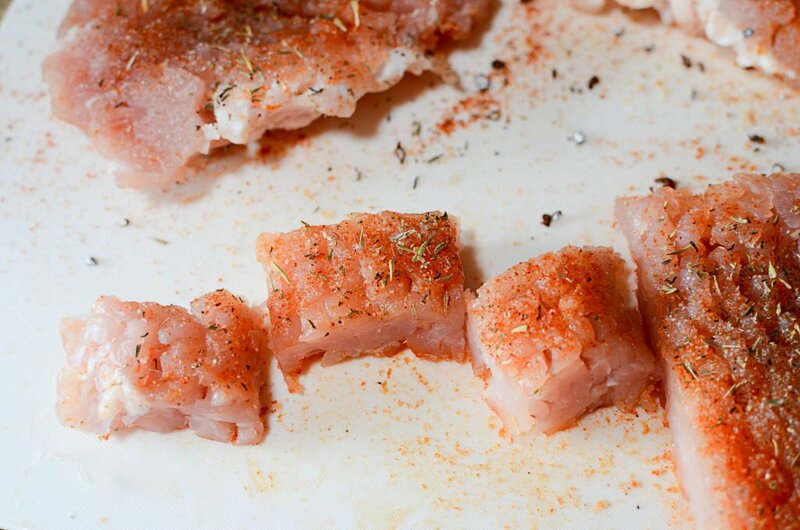 Super easy to do – Season the pork cutlets, leave to “marinate” for a few hours. Drop them into the seasoned flour….. then into some whisked eggs… and back into the flour. Fry to golden… and DONE. Deliciousness is at hand and you can thank me after you wake from your Popcorn Pork Bite induced food coma. 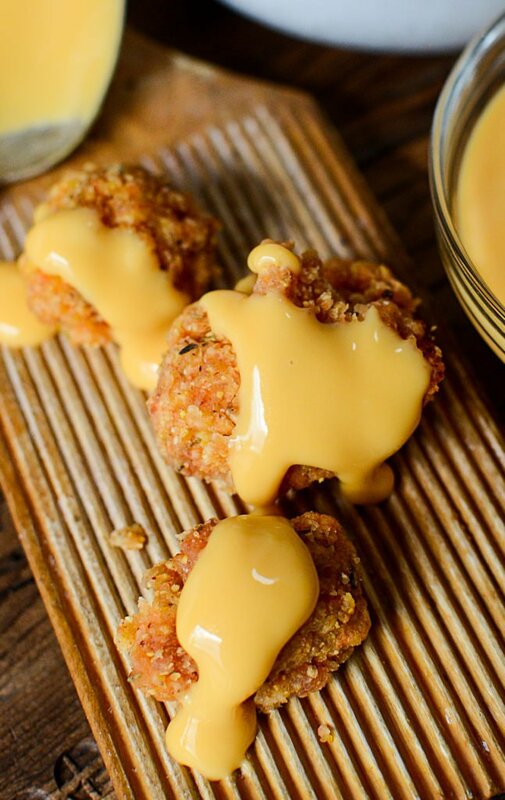 Oh… serving these little golden nuggets of happiness with processed cheese (nacho type cheese) not only doubles down on the pure badass that you’d be for eating these.. but it just plain heightens the flavor. Hands down. Or, .. you know, up, in pure celebration…… which btw, is what your kids would be doing if you made this for them. What else have you deep fried? Tell me in the comments below! Super easy and tasty appetizer. Excellent for game day! 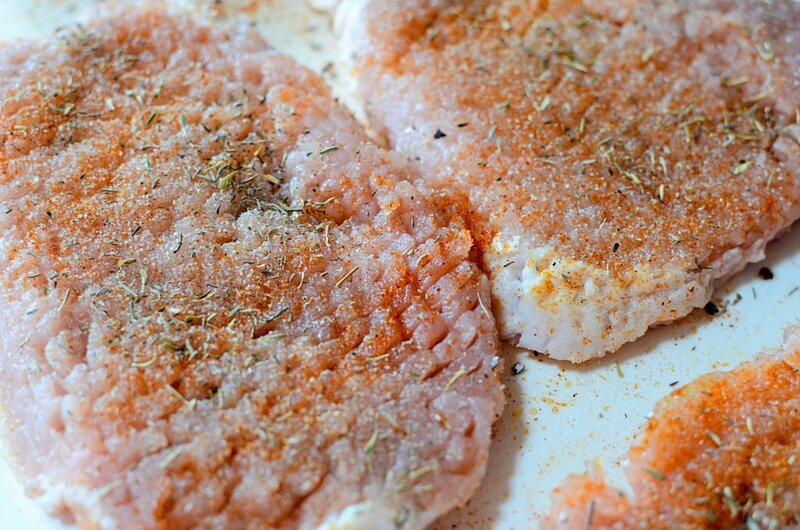 Season the pork cutlets using 1 tsp of all seasonings listed above. 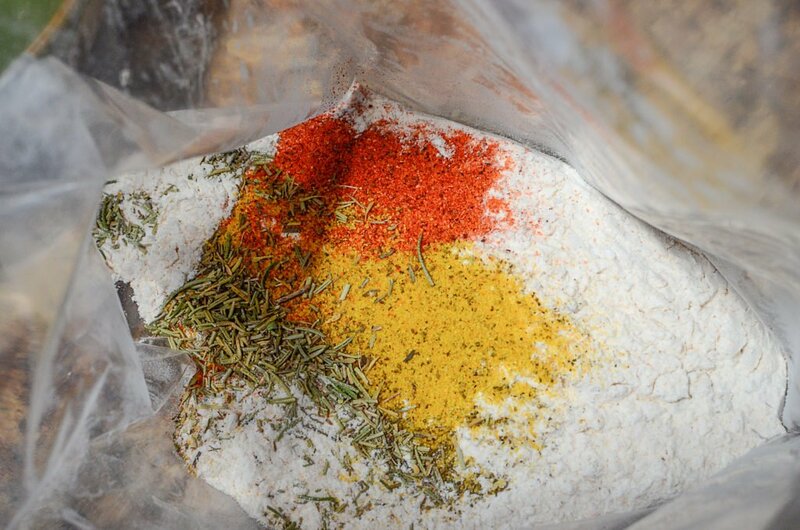 Marinate with those spices for at least 4 hours (or overnight). Preheat your deep fryer, OR, heat enough oil in a heavy skillet so that the oil is approximately 1 ½ “deep, to approximately 350. Cube the cutlets into 1” pieces. Working in small batches, shake pieces of the pork cubes in the seasoned flour. Then dip them in the whisked egg, and put them back into the flour for a second coating. Slowly, drop the pork pieces in the oil, again, working in small batches as not to crowd the frying space. Cook the pork until its golden brown, approximately 8 minutes. Place the pieces into a bowl lined with paper towel to absorb any excess oil. 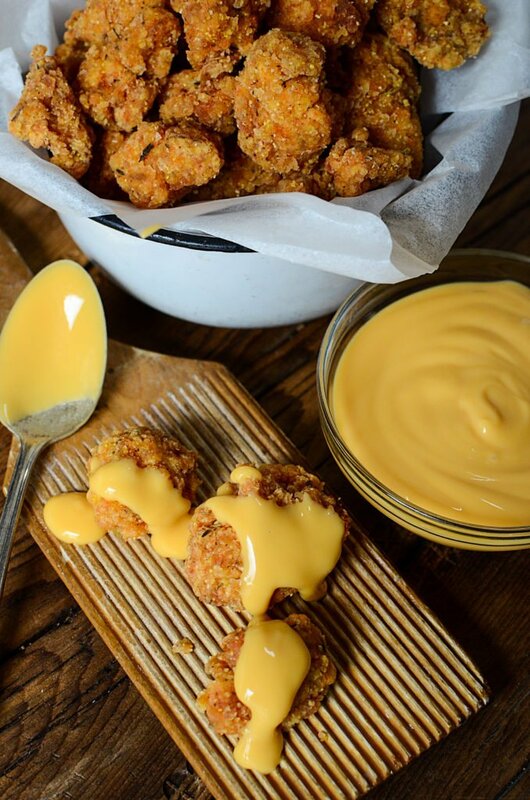 Serve with a processed cheese sauce, a ranch sauce, or any dipping sauce you might enjoy. « low carb hashbrowns with bacon! !